Dental appliances refer to a number of different devices that are used to help treat a person's teeth. They may be permanent or temporary appliances that a dental professional applies to help a person in need of dental treatment. While the word dental appliances may sound big and scary, it actually just refers to simple things like dental crowns, bridges, mouthguards or orthodontic retainers. Being aware of the different types of dental appliances can help a person have a better understanding of what their dentist is talking about. There are different dental appliances that a dentist may use or recommend to a person in order to help restore, straighten or keep the teeth in good and healthy shape. Some of these dental appliances are permanent and some are temporary or removable. Dental crowns: A cap that is used to cover a damaged tooth that may have been decaying, chipped or cracked. Dental fillings: A composite filling that is put into a cavity of a tooth that is empty because decay had been removed. 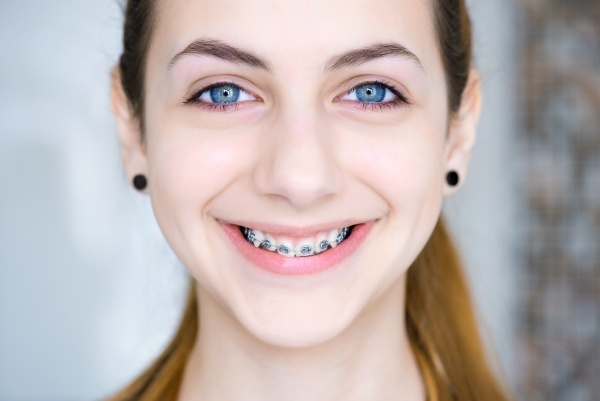 Braces: Orthodontic brackets, clasps and wires that help straighten the teeth over time. Dental bridges: These are used when one tooth is missing and it acts as a way to connect the nearby teeth. Mouthguards: Dentists often recommend that a person wears a mouthguard to protect against damage or injury. These can also help people who grind their teeth. Dentures: These are used for people that have missing teeth. Both partial and full dentures are available to help a person who has a tooth or multiple teeth missing. Orthodontic retainers: Retainers can be removed and they act as a way to keep the teeth straight once braces are removed. While dental appliances are used to help treat a person with dental problems, they can be used for aesthetic purposes as well. Sometimes patients need to have their teeth restored from damage or decay in which there are dental appliances that can help save the teeth. Dental appliances come in both permanent and temporary forms and it's best to be aware of what types exist in order to have a better understanding if and when the dentist is discussing options with you. If you have questions about dental appliances then reach out to our office today. We are happy to go over the different types of dental appliances and how they can help you. Our trained professionals can answer any questions or concerns that you might have, as well as walk you through any procedures that you might be curious about. Give us a call or stop in today. Check out what others are saying about our dental services on Yelp: Dental Crowns and Dental Bridges.